Science in modern sense can be characterized as rigorous and objective knowledge, but the mainstream philosophy of science of analytic inspiration does not attribute to science the quality of being a true discourse, nor the capability of knowing reality. A careful analysis of the notion of objectivity shows that it has the double sense of intersubjectivity and of reference to objects. Both of them rely upon operational criteria, As a consequence of this analysis one can affirm that every science is a true discourse relative to its specific intended referents, and these referents are subdomains of reality constituting distinct regional ontologies. In such a way a realist view of science is vindicated. Philosophy of science, however, cannot be restricted to be only an epistemology of science, since scientific objectivity depends on historical determinations that, in particular, make of science a subsystem of a much broader cognitive and extracognitive global system. In such a way relations of science with metaphysics, ethics and religion can be correctly investigated. 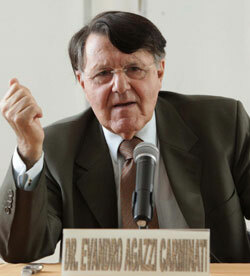 E. Agazzi, Rethinking Philosophy of Science Today, in Selected papers from the XXII World Congress of Philosophy (2012).